Since the company began in 1885, Bovis Homes has been evolving its property designs to fit with modern living, and this is continuing over 130 years later, with the local house builder's stylish three-storey homes proving a hit with buyers at its popular new Devon location. 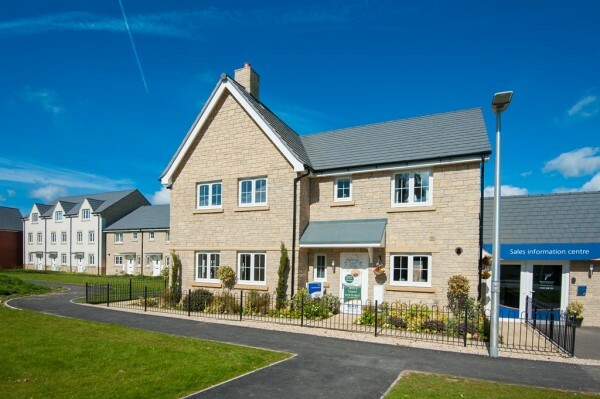 At Bovis Homes' Cloakham Lawns in Axminster, the contemporary properties have been designed for today's lifestyles, but are also carefully crafted to take advantage of the stunning Devon surroundings. On Saturday 30th June and Sunday 1st July, the house builder will be opening the doors to its three-storey Haydon – giving home seekers the chance to discover more about the designs and quality on offer at this up-and-coming new part of the community. “We're excited to be giving house hunters the chance to find out more about our homes this weekend,” says regional marketing manager, Stacey Banfield. “We have a variety of three-storey properties with balconies, large windows and French doors to take in the beautiful countryside views, and spacious open-plan rooms and family areas for socialising. The four-bedroom Haydon has been crafted to suit its stunning Devon surroundings, with a balcony from the sitting room to take in the countryside views, and spacious bright rooms. The three-storey home has an open-plan kitchen and dining area with French doors leading out into the garden. There is an integrated garage which includes a useful storage space. There is also a separate study and utility area, creating an ideal work space away from the hustle and bustle of day-to-day life. Meanwhile the second floor has a family bathroom, with the master bedroom boasting an en suite. For more information about Cloakham Lawns, go to www.bovishomes.co.uk, call 01297 795101, email axminster.sales@bovishomes.co.uk or visit the sales centre open daily between 10am and 5pm.